The Crash of 2007. What went wrong? As you will read in these pages the smart mortgage lender will always be concerned about the four Cs. Credit: Has the borrower got a history of paying their other bills? Capacity: Can the borrower afford the payment? 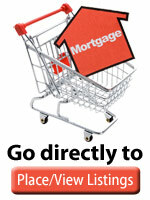 Committment: Does the borrower have their own money committed as a down payment? It is usually OK to lend to a borrower 60-65% of the property value even if they have poor credit or no down payment. Worst come to the worst you can foreclose the property and get all or most of your money back. You might even make a profit. But if the loan is at 100% or more of the property value, the borrower has poor (sub-prime) credit, they can’t afford their payments (or won’t be able to a few years later when the teaser rate is over) and they have little or no cash in the deal you can almost GUARANTEE the loan will go bad. And this is EXACTLY what our genius, Harvard educated bankers were doing in the years up to 2007. Why would they do anything so foolish? Everyone else was doing it and they didn’t want to lose market share. The interest rates on sub-prime loans was higher than conforming loans. They stupidly reckoned that the extra profit would cover the higher bad debt rates. They thought that property prices would continue to go up and the borrower would re-finance with someone else. They cared more about their bonuses than their employers money. Perhaps the biggest reason is that they had no intention of keeping the loans in their own portfolio. They were going to package them up and sell them as Collateralized Mortgage Investments. So it would be some other fool who would get stiffed!